The whole process has been really slow, but at least it’s been steady. We bought a beachfront concession lot back in April of 2012. It wasn’t easy and you can read the full story here. Since then we’ve been working to improve the lot little by little. We hired a caretaker. We dug a well in the sand (story here). We planted coconut palms. Finally, in early March 2013 we broke ground on what we’re calling the Beach House. The design is relatively simple: 18’x22′ footprint, two solid and secure concrete block rooms downstairs – One will be used exclusively as surfboard storage for our Surf With Amigas Surf and Yoga Retreat business, the other will be a studio where we can stay for the night or even just to relax out of the sun after teaching surf lessons. The upstairs will have a wood floor, with the back half closed in to make another room, and the front half – a nice open porch. 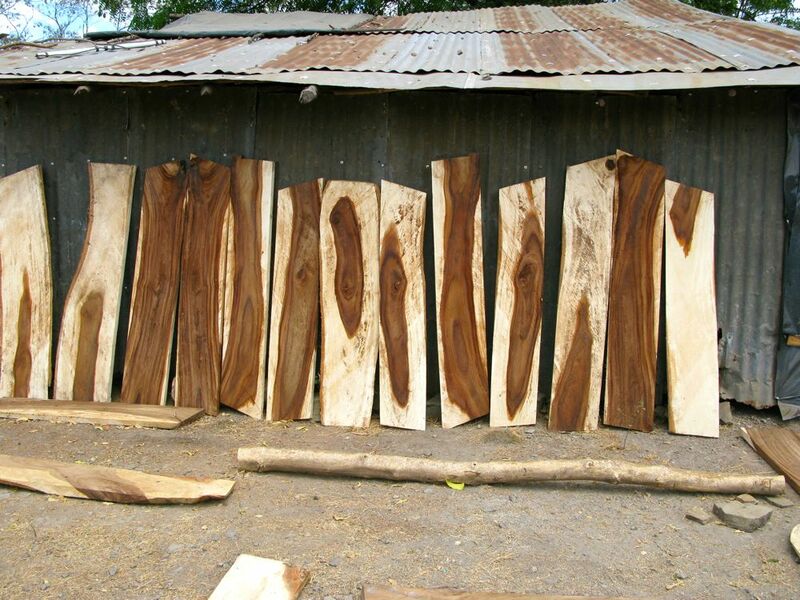 An important thing to consider when building in Nicaragua is using dry wood. If you try to use wood that is still green it will warp and bend after it is installed. So, since we were going out of town for the month of April, we gave our carpenter money at the end of March to buy the wood, store and dry it throughout April, and have it ready to install when we returned in May. 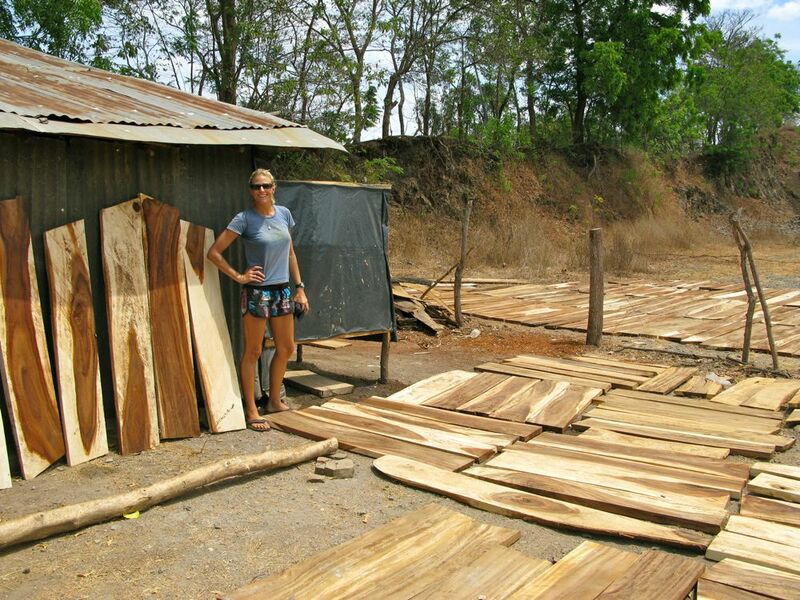 Before we left, we saw all the wood for the floor already cut and drying at the carpenter’s workshop. It’s really pretty guanacaste. The carpenter assured us he would be getting the wood for the roof in the next few days, so we turned over the money and left on our trip. 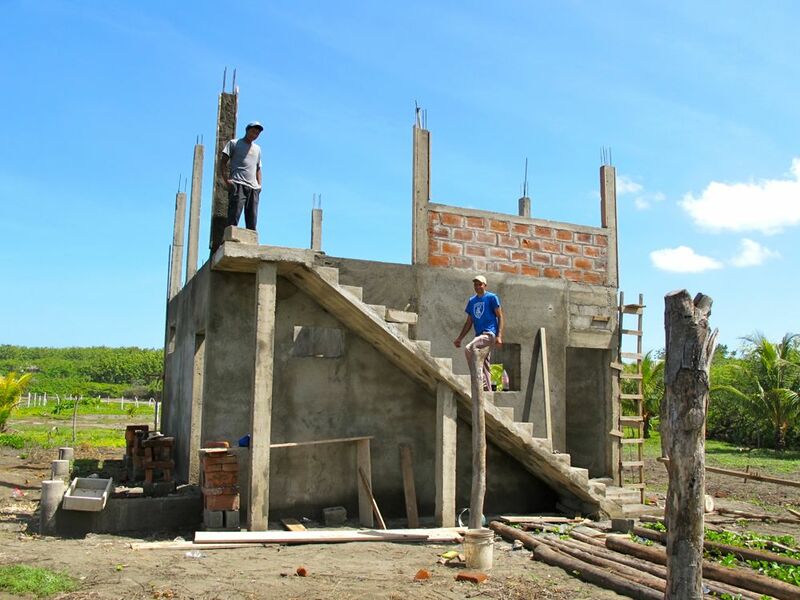 When we got back to Nicaragua a month later, we were very disappointed to learn that he still hadn’t bought the wood for the roof. He gave us a list of excuses that we’ve found to be typical in this country. He finally did buy the wood a few days later, but now we’re still waiting for that wood to dry out enough to be used. Slow but steady. In the meantime, we did erect a new ramada on the beach, and the swells have been non-stop! 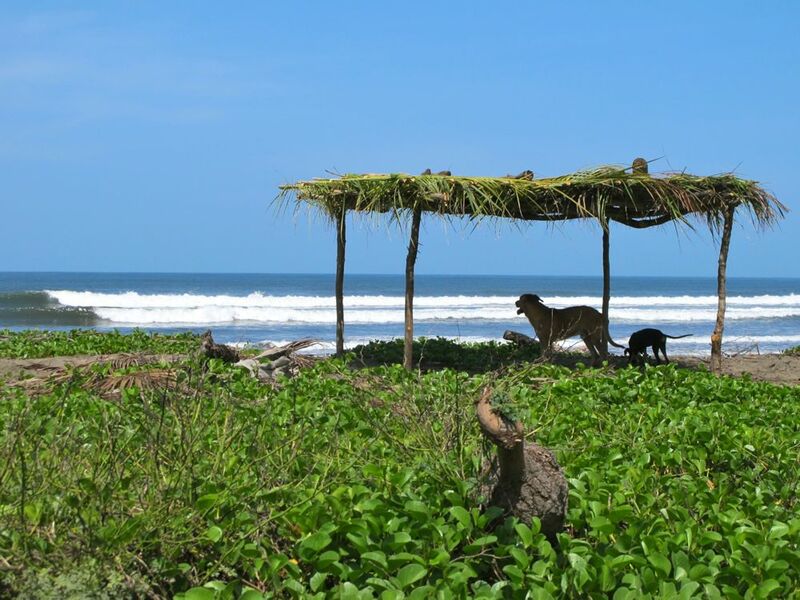 This entry was posted in Building in Nicaragua, Nicaragua and tagged beach house, building in nicaragua, concession lot, construction, dry wood, guanacaste, hipehabitat, holly beck, holly beck obermeyer, kim obermeyer, nicaragua, surf with amigas. Bookmark the permalink.